This was originally posted by Driveline Baseball and is reposted here with permission. For many years, baseball teams have employed rehab specialists to not only get players back to the field quickly following an injury, but also to help with injury prevention. In the past, physical therapists, chiropractors, athletic trainers, and others have worked with athletes at the highest levels. Recently, it has become more common to see baseball-specific training facilities pop up throughout North America. The focus of these facilities has been to get athletes the best possible quality of training to meet the specific demands of their sport. However, it hasn’t yet become common practice to see rehab specialists used in this setting as much as in the team setting. This article highlights the benefits of using rehab specialists in a training setting, as well as how to incorporate this practice. In the past, rehab specialists at the highest levels of the game have mainly focused on players returning from injury. There was not a lot of communication between the team’s athletic trainer, strength coaches, skill coaches, or other rehab specialists. Coaches usually would just get a verbal report back from a player; often, this would be conveyed in a manner that resulted in the player sitting out. As a result, players have developed a stigma of seeing their team’s athletic trainer, unless absolutely necessary, due to the fear that they could be removed from competition. Recently, teams have prioritized a team-approach model when it comes to the health and performance of their athletes. 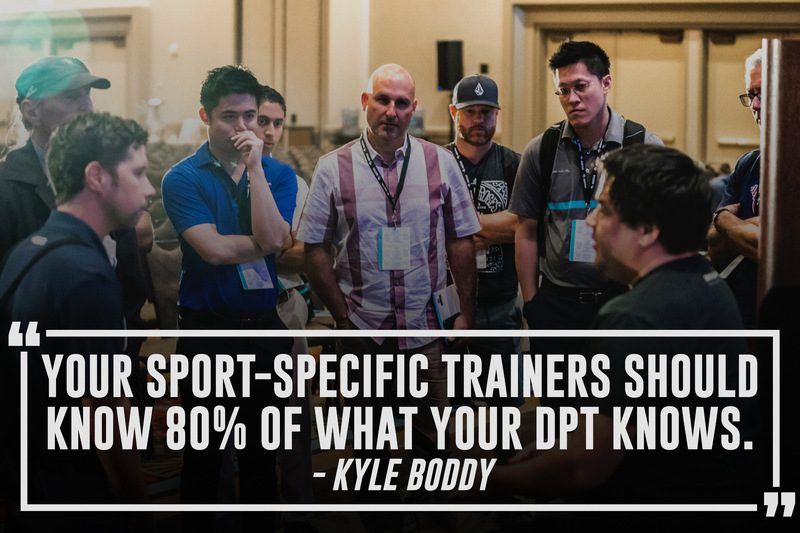 Coaches, trainers, rehab specialists, and strength coaches are more consistently in communication with each other to determine what the best course of action is for each specific player. This is not only done reactively when a player is injured but also proactively, in hopes of both keeping the athlete on the field and maximizing that athlete’s performance. I attended OnBaseU's Hitting and Pitching seminars in Phoenix earlier this year. In addition to introducing the screen as an assessment tool, one of the primary goals of the program is to help coaches, trainers and medical professionals "speak a common language." Coaches and trainers don't need to know how to treat an athlete, but it's helpful if they can have high level conversations with the team responsible for it. At Driveline, Curt Rindal, our chiropractor, and I have served in this capacity for several years. We have always prioritized the health of each athlete, and as Curt and I have become more ingrained into the everyday culture of the facility, the health of the athletes has steadily improved. Prior to moving into the facility full-time, I would come in once a week and see athletes as-needed. Since I started working here full-time, we have made it a mandatory part of each athlete’s assessment process. 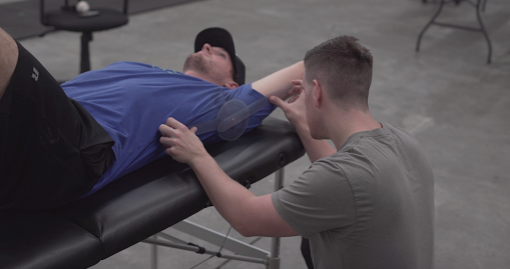 I see an athlete on day one or day two, collect a thorough injury and health history, and perform various testing, which allows me to see if the player has the capacity to do what our strength and throwing trainers require. After collecting that information, I discuss with the athlete what corrective work they may need and lay out a plan for how often I would like them to see me. Once the athlete has gone through that evaluation, in addition to their throwing/hitting assessment and his strength and movement assessment, he will sit down with a strength and skill coach—who have both communicated with me about what, I feel, they need to be made aware of for that athlete—and then we develop a training plan going forward. Once a month, the athlete will have a throwing, strength, and physical therapy retest to assess their progress. We then determine what the next steps going forward are. Between these constant retesting sessions, along with multiple meetings per week between the skill coaches, strength staff, and me, we are able to keep a closer watch on all of the athletes that come through our doors and get the most out of their time here. This is the easiest and most-cost efficient way for a facility owner to incorporate some type of rehab into his program. Many physical therapy and chiropractic clinics likely have at least one clinician that enjoys working with baseball players and understands the demands of the game. This may take some researching of the clinics in your area, but developing a relationship with that provider is ultimately worth the effort. First, the owner could pay the clinician directly. This could be based on how many athletes the clinician may screen or treat each time they are in the facility. Second, the athletes could pay the clinician each visit. Often, this will be a set amount regardless of it was a screen or follow-up visit. In an ideal world, this is the scenario that every training facility can do. Having a provider in the facility every day that the athletes get to know can go a long way in removing the stigma of seeing a rehab specialist only for injury. This can also allow for the most consistent team approach, with every staff member communicating back and forth regarding the care of athletes. One thing that needs to be noted when having a provider on-site is that in many states, legally, certain types of companies aren’t allowed to have medical providers on their staff. In this case, that clinician, regardless if he are working at the facility full- or part-time, will need to be an independent contractor. This is something that should be looked into prior to bringing on a provider in any capacity. 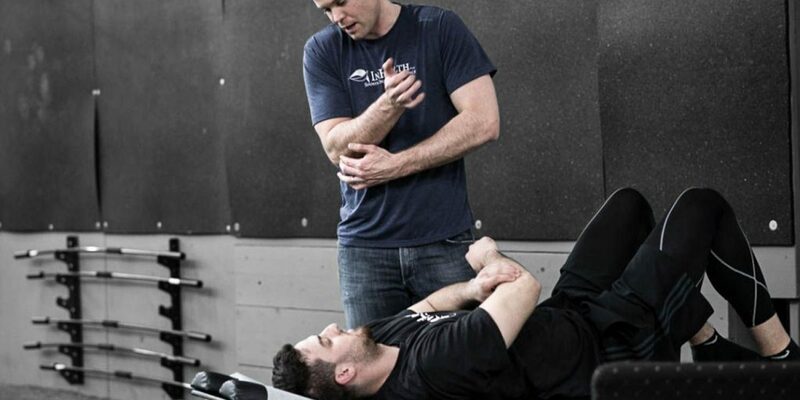 As athletes continue trying to push their bodies further and further, employing the services of a rehab specialist is a must for any coach or training facility who is serious about keeping athletes healthy while maximizing their performance. There currently is no shortage of providers out there who have a strong passion for the game and would love to provide their services in a baseball setting. Taking the steps in building a relationship with a clinician is something all coaches and trainers owe to their athletes. This article was written by Terry Phillips, a Physical Therapist at Driveline Baseball. Terry is also the co-founder of Baseball Health Professionals, a network of rehab specialists who are experienced in working with baseball athletes.